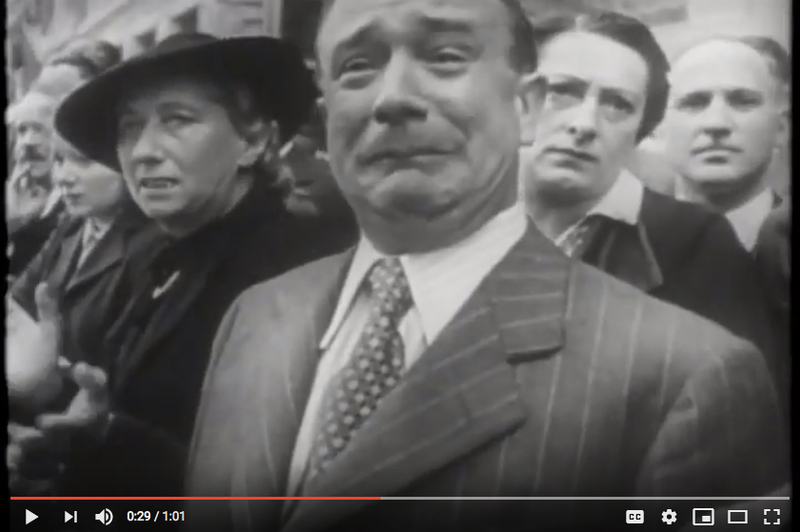 For many years, I have looked for a print of the famous war photograph that shows the profound sadness and despair among Frenchmen, not loyal to the Vichy puppet government. I finally found a press print. Like so many other mystery photographs, this one is attributed to an anonymous photographer. Some sources I found, say the Associated Press. But always one for a good mystery, I started looking a little harder. There is newsreel footage from a solemn time in Marseille (not Paris, as has been assumed by many) where a parade of French Regimental Banners left French soil for safe-keeping in Algeria, so as not to fall into the hands of the advancing German Army. The banners left France onboard ship, returning only with the Invasion by Allied Forces towards the end of the war. I assume this would have been in the fall of 1939. I have always wondered why no photographer ever took credit. Why no print was ever made that didn’t seem a little muddy. As though the only way to print this image was from a not-so-great inter-negative. Not an original negative. Not a first-generation print. I always thought the image was so good that the quality was perhaps secondary. Perhaps the image was so important that I should look for it even if it wasn’t in perfect condition. There is no way that a photographer would have been able to take a photograph at the exact same angle, from the exact same place, at the exact moment. In other words, the credit for this incredibly important image goes not to a photographer, but to an unknown cameraman, covering the news. Part of a newsreel for everyone to see in the theaters of what little remained of a free Europe, before the feature film that would follow. It is a mystery that has probably been solved. It is perhaps a little sad, as we now know that in fact there is no anonymous photographer, but rather a cameraman, who was in the right place at the right time. Of course, now the cameraman is elusive, but that is a mystery for another day. Clearly, the footage is a mix of film from different locations and different times. The voice-over must have been added later. The mix of Charles de Gaulle footage and the footage of the banners leaving Marseille are not contemporary. However, the footage of the crowds and the banners leaving, I believe, are indeed from the same reel and as such, I can see nothing that would dispute either the origin of the photograph, or the ‘photographer’, the unknown cameraman. Let me close by saying that I love the photograph. I don’t care that it is a single frame from a few feet of film. It is I believe a symbol. A moment in time. What a photograph can sometimes do when it is very successful. It stands as a testament. 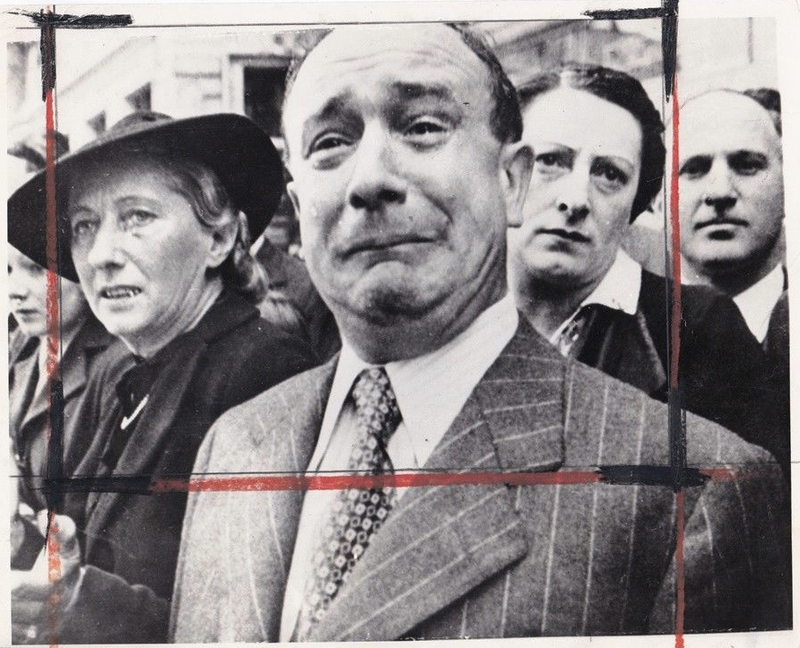 It is France at a time of deep sorrow, captured forever in a photograph. A single frame.